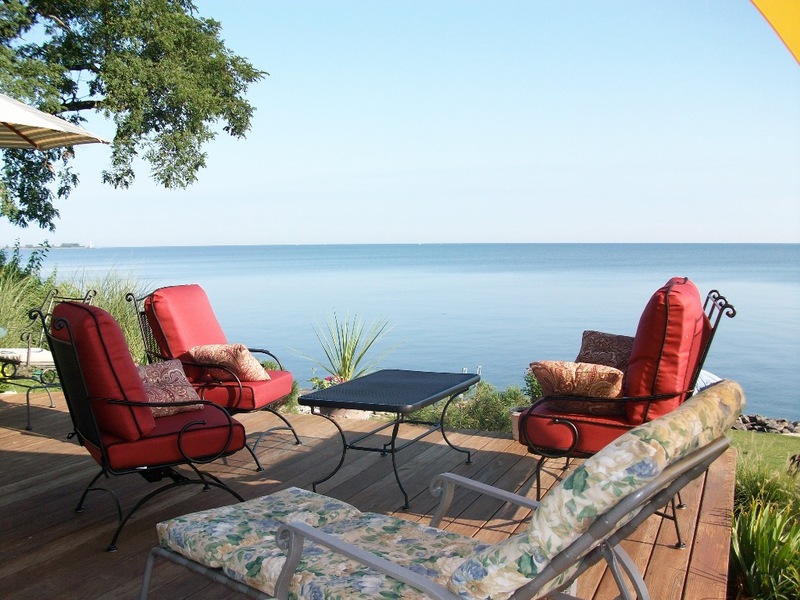 Any season of the year, ever-changing Lake Erie provides the entertainment while your family and friends make memories together in this charming cottage. 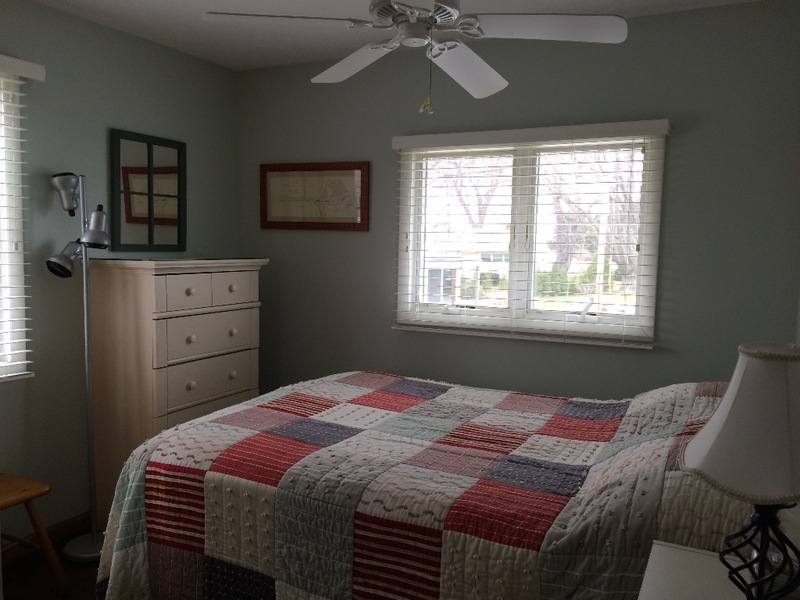 Because we love spending time here so much, we have completely remodeled this historic cottage adding all the comforts of home. 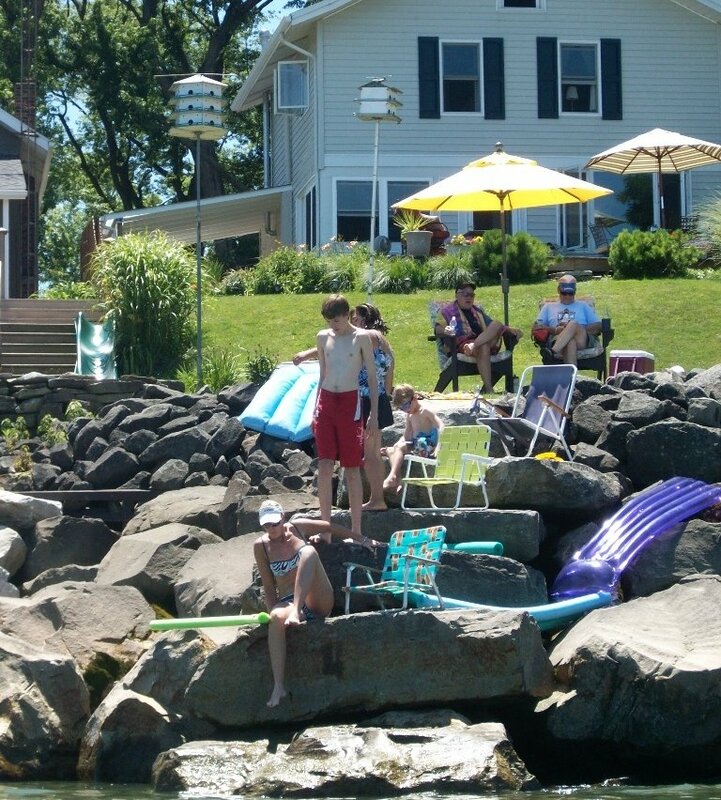 The highest compliments come from our past guests who consistently tell us that the clean, comfortable house and proximity of the lake exceed their expectations. We received 25 unsolicited, 5-star reviews while listed on a former website. 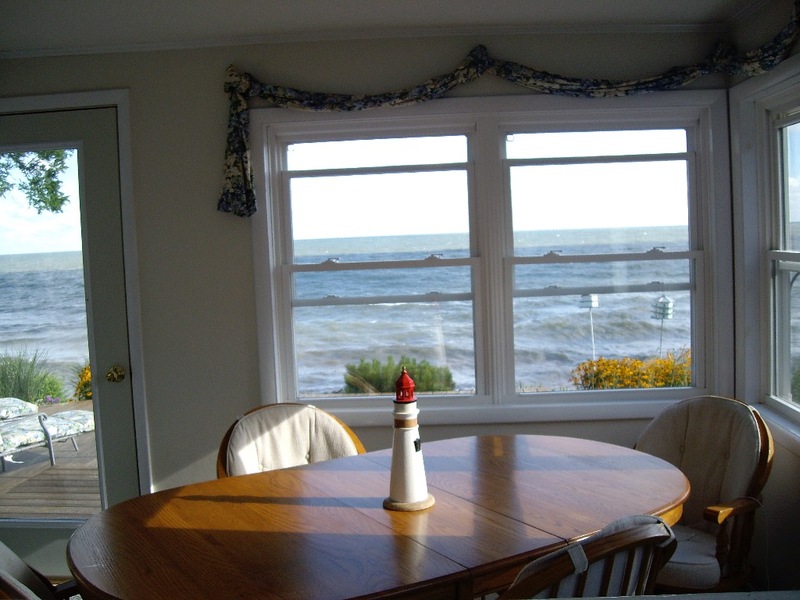 The panoramic views of Lake Erie from the kitchen, living room and dining room are amazing. 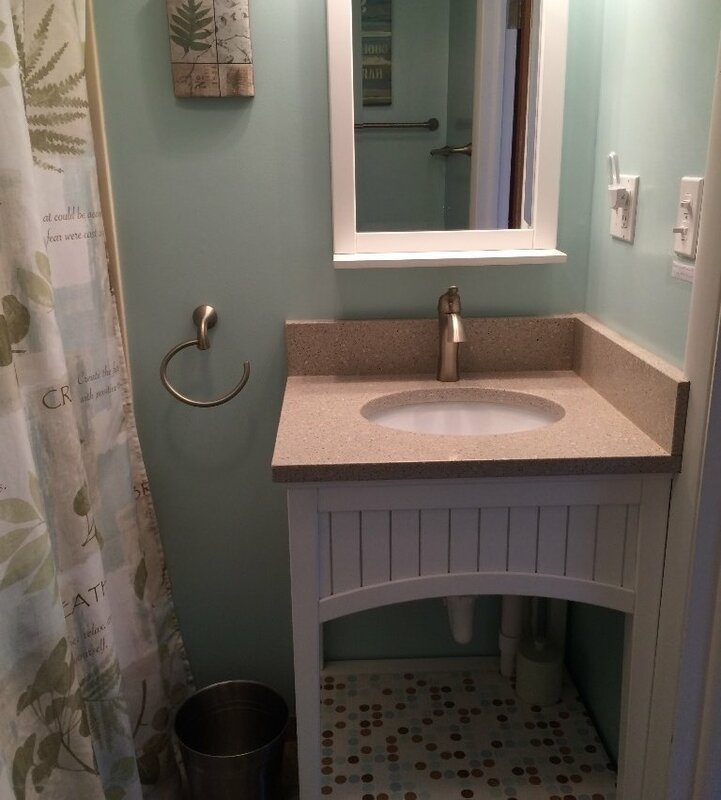 A modern half bath and laundry room complete the first floor. 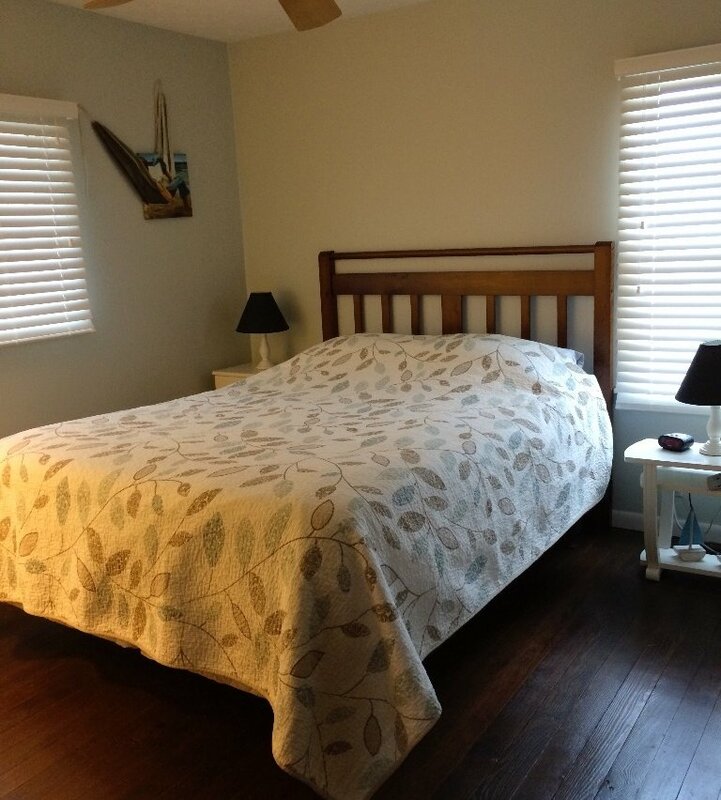 Upstairs are 3 private bedrooms with original hardwood floors (one queen, one double and 3 single beds) and an updated full bathroom. 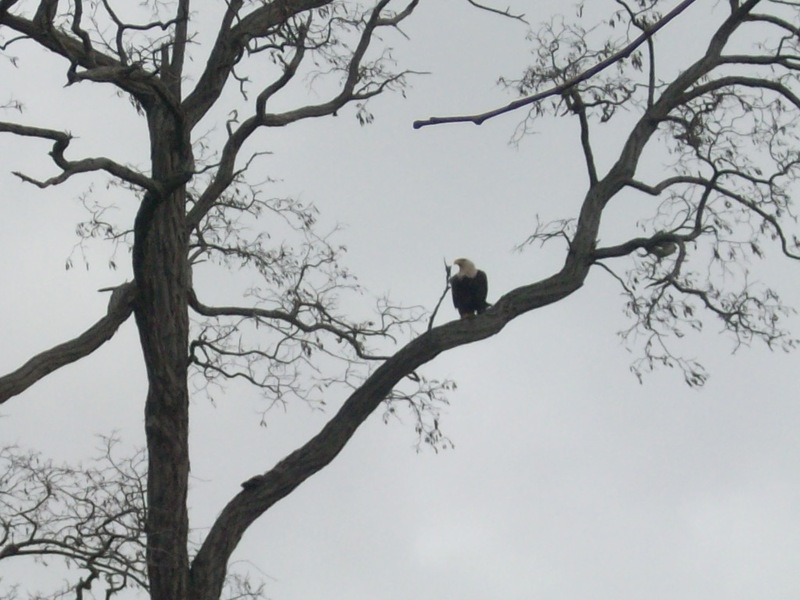 The lakefront deck and large yard invite guests outside and a fire ring is located at the water's edge and every season brings different birds to watch including bald eagles, purple martins, cranes and ducks. 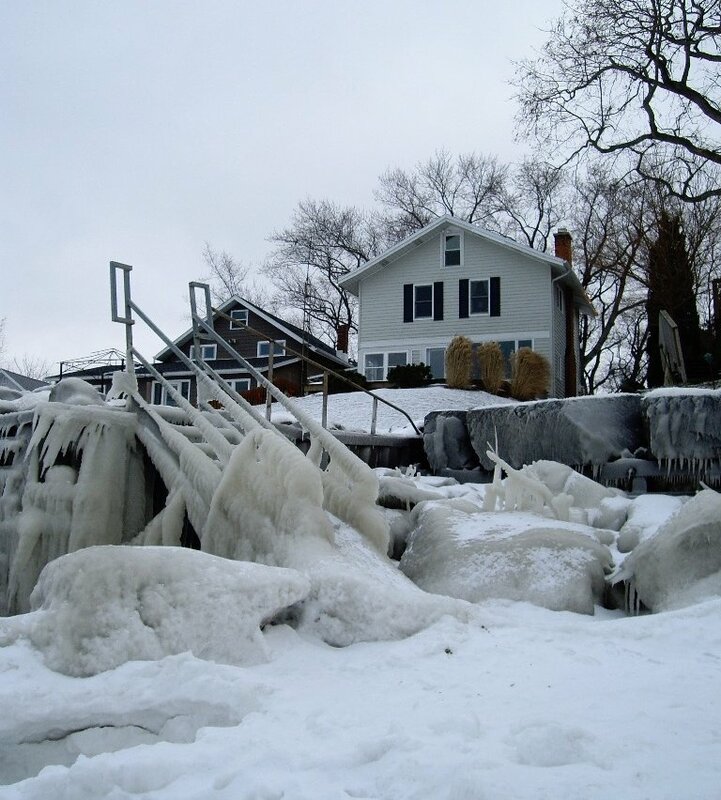 You can fish or swim from the property using large stepping stones or a set of stairs leading into the water. 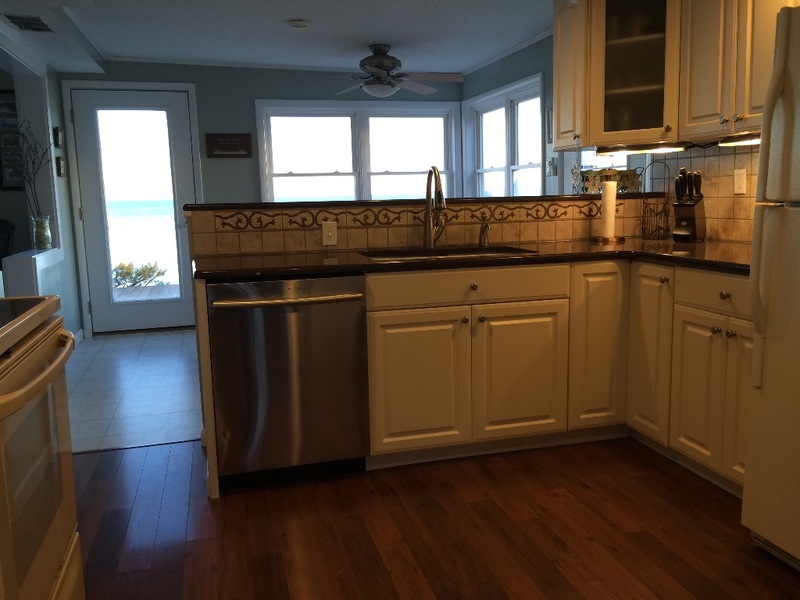 Meticulously maintained and cleaned by the owners, the house is very nicely furnished, with special attention to bedding, linens, bath and kitchen conveniences so you feel right at home. We rent to other home owners who are non-smokers over 25 years old and who agree to respect the home as if it was their own. 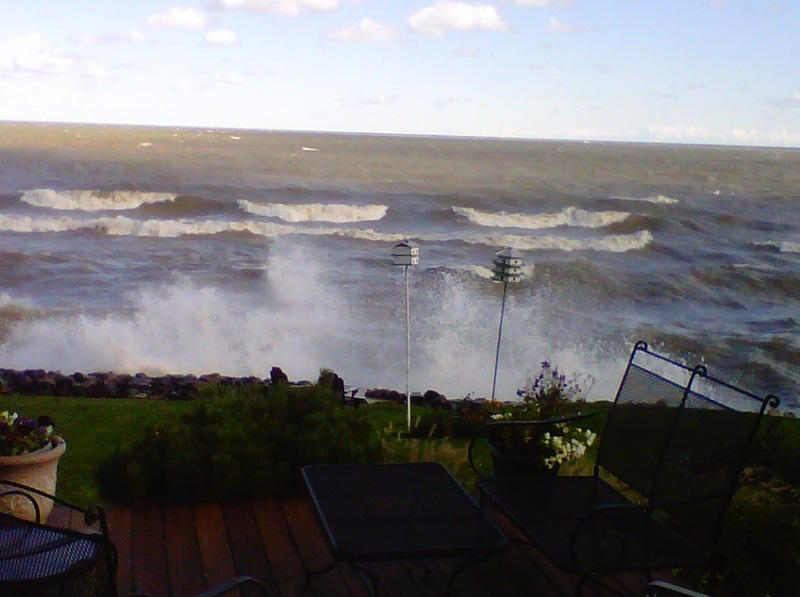 We want others to enjoy Lake Erie when we cannot be here. Located on a private lane with more barefoot vacationers than cars. Sandy beaches are everywhere, including a mile-long public sandy beach 2 miles away and a state nature preserve beach within walking distance. 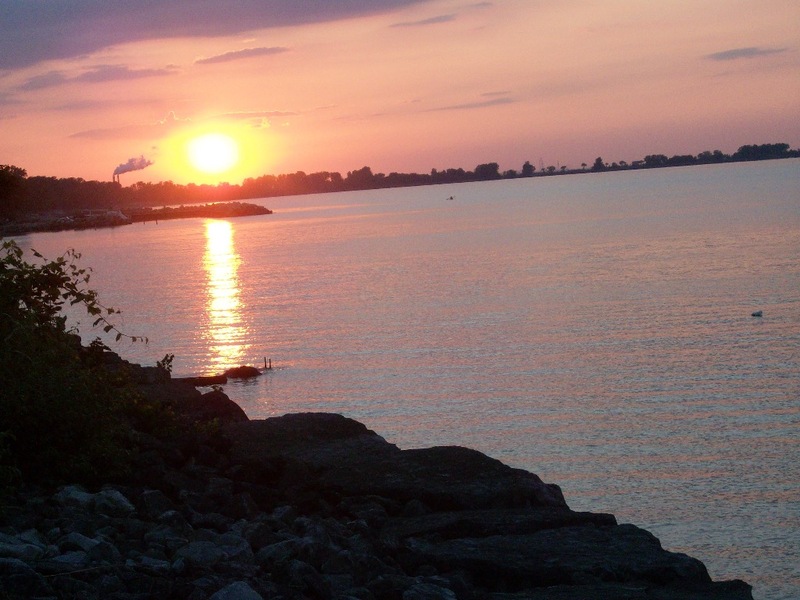 See our link to all the nearby Lake Erie beaches. Budget Travel rated Huron, Ohio one of America's Coolest Small Towns in 2019. 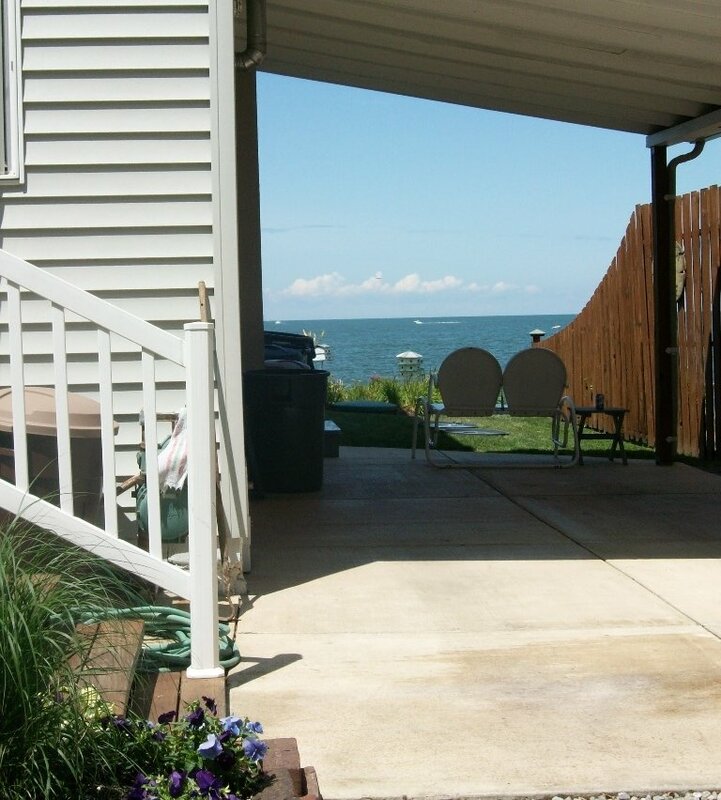 Conveniently located one hour from Cleveland and 20 minutes from Cedar Point and Marblehead. Nearby managers (and long time residents) can help you with most any of your vacation needs after you arrive. 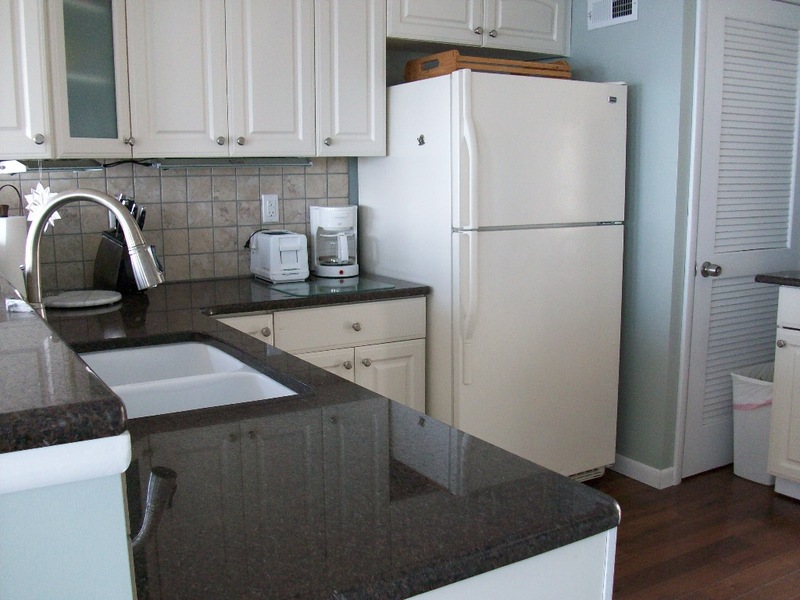 This information is provided to help you decide if our home is the right fit for your vacation lifestyle. Our goal is to make you feel right at home. 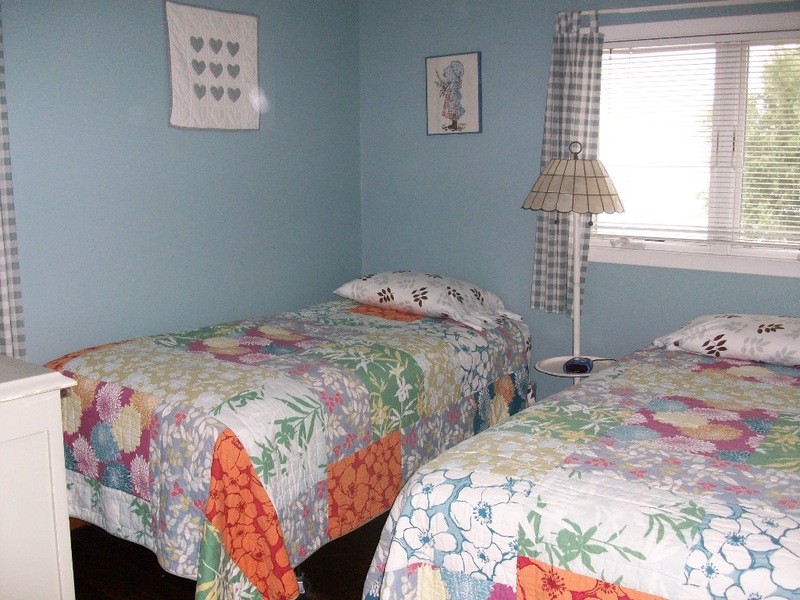 Our guests are expected to do their own basic housekeeping, including washing and putting away kitchen dishes that are used, removing trash and food and placing the used linens in the laundry room at check out. 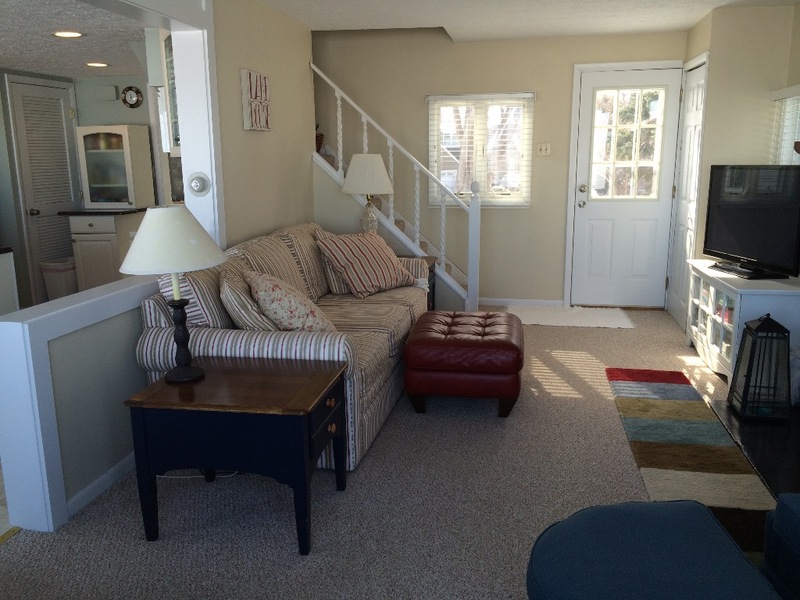 The result is that the house should look the same at check-in and check-out with the exception of the used laundry. 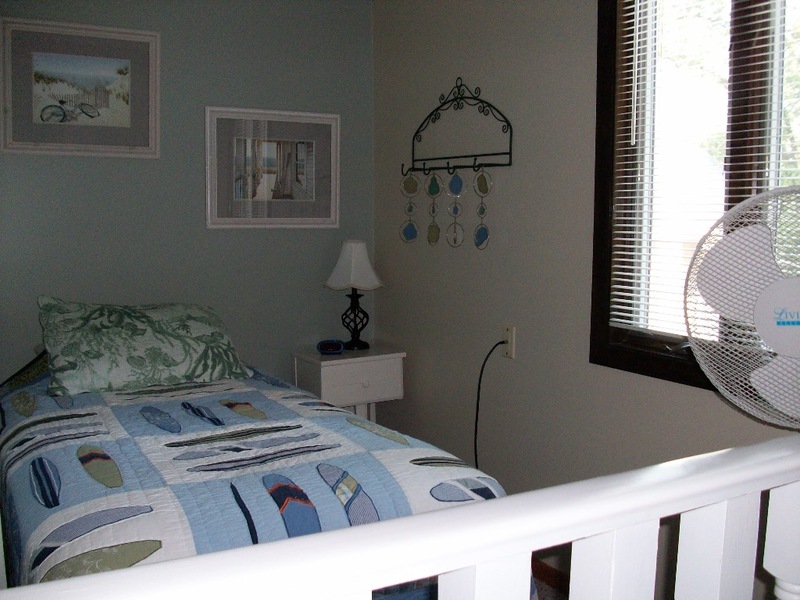 As owners, we wash floors, surfaces, windows, bathrooms and re-make beds with fresh linens between every rental. We make sure that everything is in working order before each guest arrives and respond to any need for repairs as soon as possible. 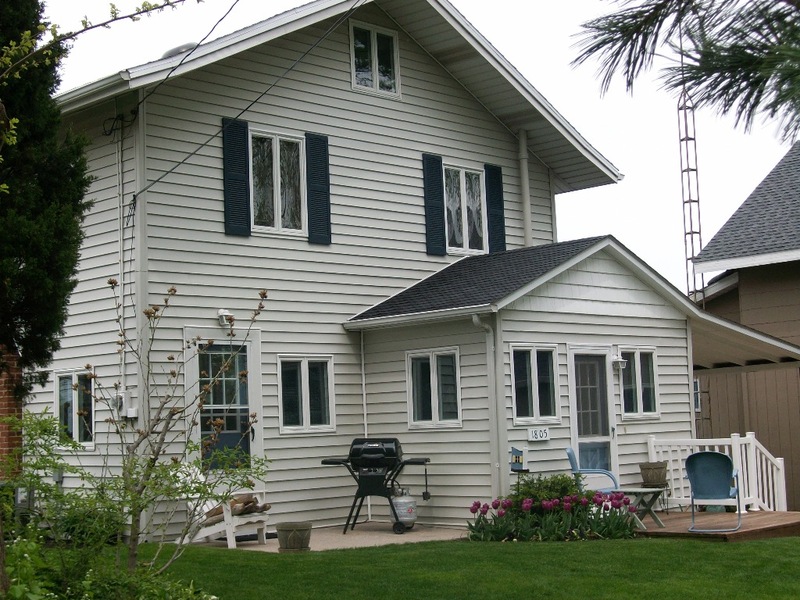 However, our cottage is over 105 years old and guests with a “sense of adventure” are best suited to enjoy the quaint aspects and the possibility of unexpected changes. We rent to other homeowners over 25 years of age who agree to respect our home as if it was their own. This is a pet free, non-smoking property inside and outside. 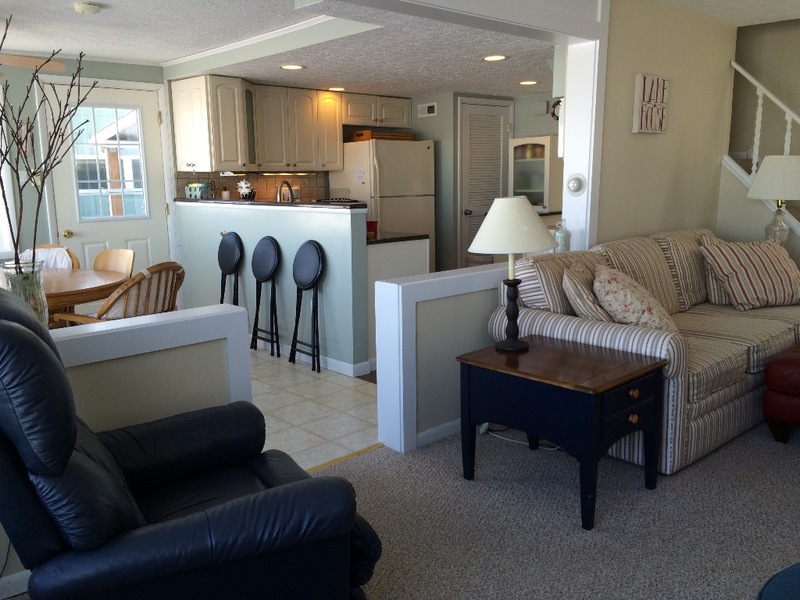 Our furnishings cannot accommodate extremely large people and our property is not handicapped accessible. 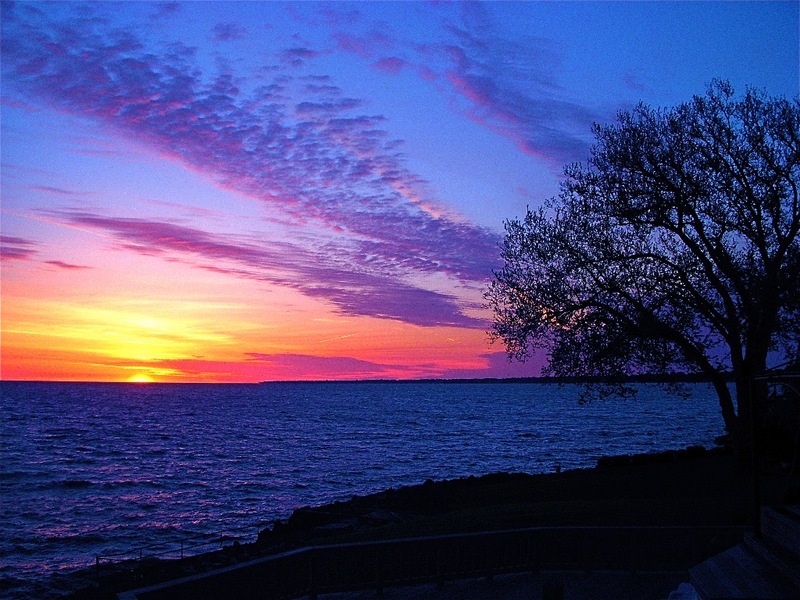 Everyone in our neighborhood of a dozen homes shares a love for the lake, the outdoors and having a good time, but quiet hours begin about 10 pm. Paypal payments can be made, but 3% must be added. Balance of rent is due 2 weeks before arrival (unless you prefer to send the entire amount at one time). the day your deposit is received along with specific driving directions. It is best if you send a deposit as soon as you have made your decision. Until your deposit is received, the dates will appear as available on our on-line calendar, resulting in potential duplicate requests for the dates you are considering. If we do not have an email from you indicating that a deposit has been sent, we will presume you are not planning to come and will offer the dates to the next interested party. If you have notified us by email that you have sent your deposit, your deposit has not arrived in the mail and someone else asks for your dates, we will send you an email giving you 24 hours to respond and arrange an instant payment via paypal or your bank. be notified of the costs. The $200 check will then be cashed and the balance after damages will be mailed back after a few weeks. In the event of cancellation before April 1st for summer rentals (June, July, August), the deposit will be returned minus a $100 fee. If cancellation is made after April 1st, the deposit will not be returned. In the event of cancellation for off-season rentals (September through May), deposits will be returned minus a $100 fee only for cancellations made more than 4 weeks before the reservation.